What connects Aristotle with spiders? The answer can be found in this book. 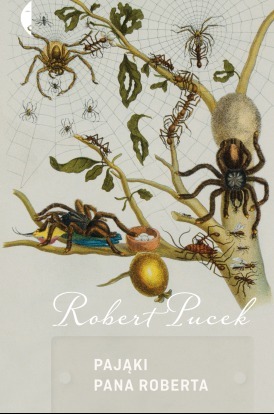 Robert’s Spiders is an unusual mix: an arachnological-philosophical treatise, and at the same time the record of natural insights of a resident of the wilderness, observing the world around him changing with the successive seasons. Robert lives in a cottage at the edge of a forest – a cottage that, as it turns out, had many residents before him. 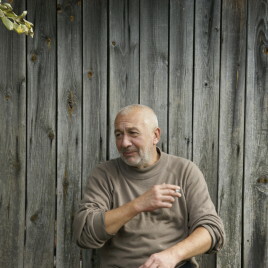 Reading the works of the great scholars – Martin Lister, Jean-Henri Fabre, or the aforementioned Aristotle – Robert comes to unique conclusions: in the lives of spiders, there are figures of various human experiences, such as motherhood, forming relationships, or searching for one’s place in the world. At the same time, he discovers that although spiders frequently appear in literature, there is usually little truth about these creatures. This is why he decides to write his own book, so that he can, as he claims, fill the gap between the humanities and natural sciences. And he does so with a sense of humour and distance.